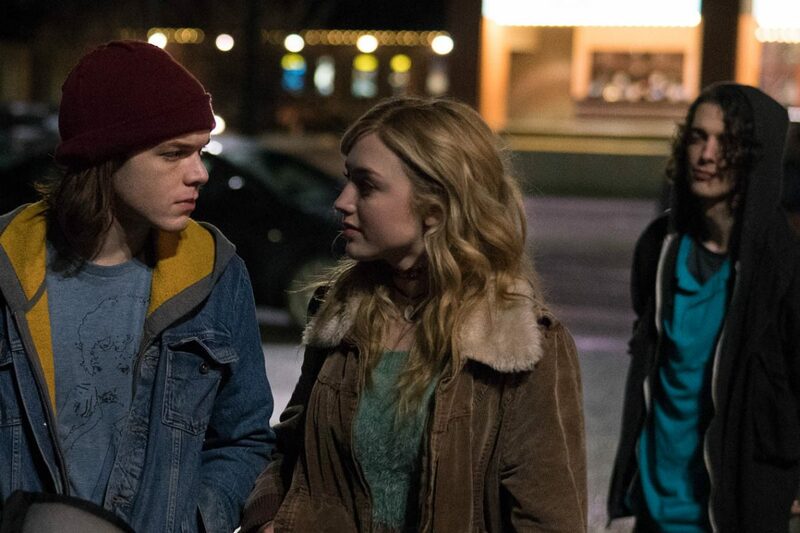 SP Releasing has acquired the US rights to Sepia Films’ supernatural coming-of-age drama film ANTHEM OF A TEENAGE PROPHET starring Cameron Monaghan (Gotham, Shameless), Peyton List (Disney’s Jessie) and Juliette Lewis (August: Osage County). The film will release in theaters and on-demand on January 11. Directed by commercial director Robin Hays in her feature debutand produced by Sepia Films’ Tina Pehme and Kim Roberts, ANTHEM OF A TEENAGE PROPHET follows Luke (Cameron Monaghan), a teenager who foresees the death of his best friend. When this premonition becomes reality, Luke must deal with the trials and tribulations of being dubbed “The Prophet of Death” and being titled a freak by the entire town. It doesn’t help that he’s fallen in love with Faith (played by Peyton List), his best friend’s girlfriend. Academy award-nominee Juliette Lewis also stars as Mary Hunter, an intuitive mother whose wisdom, grace and humor helps her teenage son Luke navigate the unique challenges of his world. Based on the award-winning novel by Joanne Proulx set in Stokum Michigan in 1997, Anthem expertly navigates that often rocky and at times inspiring road to adulthood. The film authentically balances the teenage experience of confusion, angst and desperation and with those exceptional moments of clarity, self-discovery, humor and hope. Anthem explores the need to belong, the isolation of youth, and the powerful brew of fear, truth and music and noise that plays inside us all. The film also stars newcomer Grayson Gabriel, Danny Woodburn (Jingle All The Way), Alex MacNicoll (Transparent) and Spencer List (The Fosters), and was executive produced by Michel Shane of Handpicked Ventures and Darren Benning. ANTHEM OF A TEENAGE PROPHET features a stellar soundtrack including iconic 90’s hip hop music from legendary artists such as The Pharcyde as well an original song performed by Peyton List. The deal was negotiated by Jason Price on behalf of SP Releasing and by CAA on behalf of the filmmakers. ANTHEM OF A TEENAGE PROPHET releases in theatres and on-demand January 11, 2019, with the DVD release following on February 5th.